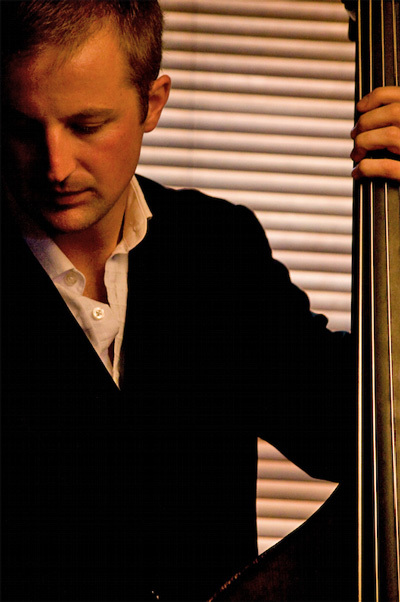 Michael is a double bassist and electric bassist who’s passion for performing has seen him involved in numerous tours throughout Australia and New Zealand from Roots, Hip Hop and Pop music, through to Jazz and improvised music. He has made multiple appearances at the Melbourne, Wangaratta, Nelson, Tauranga, Christchurch and Queenstown Jazz Festivals, Adelaide Fringe Festival, WOMAD, Port Fairy and Woodford Folk Festival, plus national and international tours with Ben Waters, Tim Reis, Bernard Fowler, Kate Vigo and the Underground Orchestra, Flow and Plenty, Pan Francis, roots and country singers Neil Murray and Tecoma, plus numerous others. Since returning to Christchurch after spending six years in Melbourne, Michael has performed with touring artists: Ben Waters, Tim Reis, Bernard Fowler, Simon Barker, David Berkman, Jamie Oehlers, James Sherlock, Hetty Kate, Roger Manins, Reuben Bradley, Flip Grater, Dave Dobbyn, James Morrison, Midge Marsdon, Mary Coughlan, Jimmy Smyth, Dixon Nacey and Marc Hannaford to name a few. He has joined the CSO and performed multiple masterworks concerts and jazz/contemporary festival concerts as a casual CSO member. Michael completed his Honours Degree at the Victorian College of the Arts in Melbourne. His thesis received praise from New York bassist Larry Grenadier "... your dissertation was the most in depth examination into the collective interplay that we do in the trio that I have seen." Michael is actively involved in the Ara Music Arts programme and runs the successful teacher promotion site NZ Music Teachers Online as part of his Global Music Teacher network with sites in London, NYC, Melbourne and Sydney.